The Oscar-winner has raised millions of dollars to secure a sustainable future by protecting biodiversity, controlling climate change and focusing on ocean and wildland conservation through his aptly-named ‘The Leonardo DiCaprio Foundation’ founded in 1998. 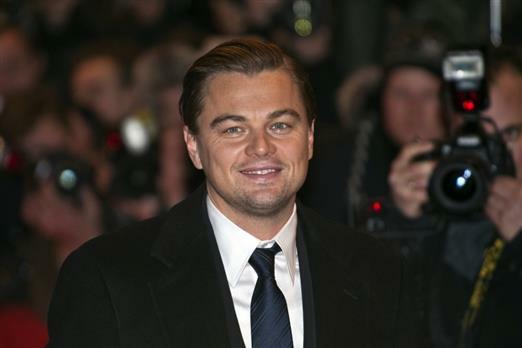 DiCaprio also sits at the board of important environmental organisations such as the WWF. In addition to this, the actor has put his experience in the film industry to good use, having produced two short movies and the critically-acclaimed documentary ‘The 11th hour’ to raise awareness on environmental issues and solutions. The British actress - widely known for her role as Hermione in the Harry Potter franchise - is deeply committed to using her platform to speak up about important issues in today’s society, which include fighting for women’s rights and advocating for the recycling of waste. Ian’s advocacy for environmental causes frequently puts him in the spotlight. In 2010, Somerhalder helped with the clean-up after the Deepwater Horizon oil spill, in the Gulf of Mexico. That same year he established the Ian Somerhalder Foundation asked people to donate to causes that were dear to their hearts, instead of sending him birthday gifts. Somerhalder opposes GMOs and factory farming and supports more organic ways of harvesting. McAdams is a devoted environmentalist. Not only does she choose to cycle instead of owning a car, the actress has also engaged in clean-up efforts following Hurricane Katrina and advocated for the preservation of farmland and water sources in Canada, among many others. Mark Ruffalo work doesn’t stop at acting. Ruffalo founded Water Defense, a non-profit organisation focused on ensuring people have access to clean water and holding polluters accountable for their actions. Other causes he supports include the replacement of fossil fuels with renewable energies and the prosecution of biotech giant; Monsanto. Undoubtedly, Robert Redford is one of the sole pioneers in celebrity environmentalism for relentlessly fighting for conservation and raising awareness on climate change issues, which he has been talking about since 1989. Bündchen is a Goodwill Ambassador for the United Nations Environment Programme, passionate about the environment and preservation of the planet. Woody Harrelson created the organisation ‘VoiceYourself’ which encourage citizens to protest pollution of the air, soil and water through everyday choices and behaviour. GreenPak encourages all types of recycling in Malta; from bottle recycling to battery recycling. Join us and the countless environmentalists in our mission to clean up our precious Maltese islands. Operating in public collection systems, including bring-in sites and door-to-door collection of glass, plastic, paper, cardboard and metal post-consumer waste as well as waste electricals in 42 localities around Malta; our organisation tries to raise awareness as the above-mentioned celebrities. What’s more, we also run collection systems for businesses. We even promote recycling through extensive educational programmes. Initiatives include distribution of GreenPak's green recycling bags, door-to-door education, educational leaflets, radio and TV appearances, a 24x7 helpline and continuous regional and national recycling initiatives, such as the Crush & Win Campaign. Follow us on Facebook and Twitter for all our latest updates!